We here at Mandated Memoranda Publishing, LLC, are gearing up for a book unveiling. Here’s an author interview for the taking. All we ask is that you use the Q & A ‘as is,’ notify us of your intention to use the material, and send us a link ahead of your post via our email address. Thanks. A Digital Carol – A Tale for Our Generation is the old Dickens’ favorite—A Christmas Carol—reimagined. We now face a monstrous egotist who questions the very premise of his existence and ours. A Digital Carol is Dickens’ A Christmas Carol retold with new forms and modern perspectives. No longer do we read a tale of a mean miser who, through sorrowful experiences, becomes kindly. We now face a monstrous egotist who teeters between damnation and redemption. Chapter 3 – Why Were You Holding Out? It’s probably obvious: A Christmas Carol becomes A Digital Carol. 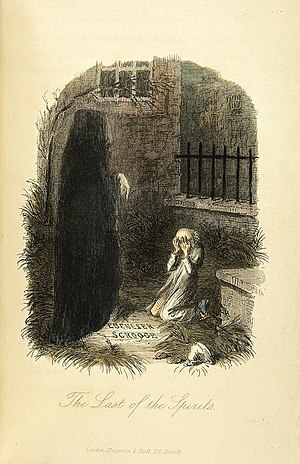 Dickens’ used the trope of spiritualism popular in his day. We chose Artificial Intelligence (AI) gone awry popular in ours. Neither Dickens nor we advocate for these movements. Although both stories are set during the Christmas season, we changed our title to A Digital Carol to emphasize the modern nature of the reimagined story. All of us want to create, in some shape or fashion, our own heaven, on our own terms, here on earth. 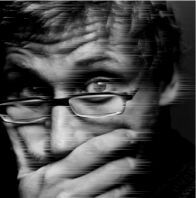 Whether we believe it or not, we, even as the story’s main character: E. Ben Ezer, teeter between damnation and redemption. We hope this story prompts all readers to question the very premise of their existence. All of it. Of course, at least as of this writing, everything is greatly exaggerated in the story. We have a growing economic divide, jobs automated away, AI demons, Wars, and cries of over–population. We’ve recently experienced a worldwide financial crisis that may not be over. We have wars and rumors of wars raging in places most of us cannot find on a map. We have various elites that view the majority of us as low information and hardly worth the investment (e.g., look at real wages, job statistics, and offshored corporate income). We also have philosophical movements that put agrarian gentrification for the privileged above economic prosperity for all. I could go on as could you. Get to the computer every morning and type until bed time. Yeah, right, as if that would happen. It’s the goal, but we only have that leisure on Mondays, Tuesdays, and Saturdays. The rest of the week is broken up by appointments. Prior to starting a manuscript, we do a lot of daily reading on relevant topics to establish our mindset and a reservoir of facts from which we draw. As the writing progresses, we do less reading each day. We used to use advanced copy readers for early critiques. However, your friends and acquaintances shouldn’t be put on the spot when it comes to bald criticism. And, it’s this kind of criticism that you need. We’ve decided, from now on, to go to paid editing early in the development process. Several shops offer quick turnarounds and direct communications. Pay the money and get the best you can afford. We chose to do three collaborative editing sessions before a final copyedit phase. I feel we have a better product for it. Our collaborative editor for our second and third sessions recommended reading 120 pages from The Art of Dramatic Writing: Its Basis in the Creative Interpretation of Human Motives by Lajos Egri. Specifically, she recommended the chapter on ‘Conflict’. We read most of the book, actually. The author’s drama principles are useful; his science and philosophy are forgettable. Our first manuscript iteration is dated mid–November 2013. We sent the manuscript off for the first collaborative editing session June 2014. We received our manuscript from our third collaborative editing session October 2014. The manuscript is about 21,500 words. Do you have a favorite line or scene from your latest release? Eli Benjamin Ezer (also known as E. Ben. Ezer) is our main character. Honestly, I didn’t like the name Scrooge and each of his new names has an interesting meaning. The solicitor reappears later in the story (as his counterpart does in the original story). What are the future plans for you and this book? After we get the copyedited manuscript back, we’ll generate a PDF file and submit it for reviews at: Kirkus Review, Books and Culture, Publishers Weekly, and Red City Review. In parallel, we’ll kindlefy the manuscript and post it to Kindle Direct Publishing (KDP) for sale by the end of November 2014. We’re already on Goodreads and plan to hold an event prior to Christmas. If the reviews are fair to middlin’ or better, we’ll request ADC become a Kindle Single and solicit reviews from newspapers to which we subscribe. How to quickly generate clean HTML from Microsoft Word and accurate Amazon KF8 files from the HTML. We have yet to figure out Kindle for iOS to our dismay. Have you published anything else? Mandated Memoranda Publishing, LLC has published Tiānmìng – Mandate of Heaven as a Kindle edition in June 2013. It is an everyman’s spy adventure – a reluctant journalist’s tale of economic calamity, geologic catastrophe, geopolitical power shifts, and the beginnings of a hands–on surveillance state. We plan to release a fourth Kindle edition: Who Shall Be God, a fictional account of the struggles between two families, the Stadists and the Libertas, who live in an east coast US city, north and south of the 38th parallel, respectively. It will be published on Amazon in late 2015 or early 2016. Our fifth planned Kindle edition is due in late 2016 or early 2017. The working title for this book is China Dream. It’s still in process, as is the dream itself. However, could it turn into a nightmare instead? 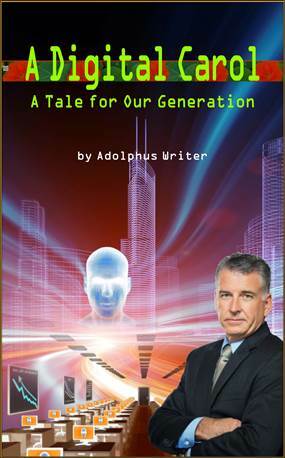 We at Mandated Memoranda Publishing have been working on our third book: A Digital Carol – A Tale for Our Generation. This is the old Dickens‘ favorite—A Christmas Carol—reimagined. We now face a monstrous egotist who questions the very premise of his existence and ours. 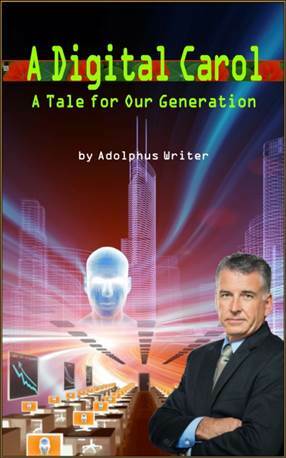 Its genre is sci-fi but I prefer the non–conformist genre speculative fiction. We’ve updated our book blurb yet again. We plan on posting an Author Interview, a Character Interview, and a Candidate Press Release in the coming weeks. We’ve managed to streamline our Kindlefication and campaign processes further and may try to summarize them in outline form (our punch list). We’ve labored through three rounds of collaborative editing, read Lajos Egri on how to create drama, and are now Kindlefying (are you listening, Oxford English Dictionary?) the manuscript while we wait for the final copyedited manuscript. We’ll fold those edits in and generate our Kindle book. We also plan to solicit paid reviews and, if those are fair to middlin’, pursue Amazon Singles status and reviews by two newspapers to which we subscribe. We may ask Amazon for Singles consideration in any case because there is no accounting for taste when it comes to reviewers (both our experience and our collaborative editors bear this out). Our aim is to publish the Kindle book by Black Friday (or Cyber Monday depending on the vagaries of Amazon KDP). We’ll add the book to Goodreads and do promotion there. We hope to have okay reviews by mid-December. We’ll add those to the Amazon product page. Then we’ll do a press release with the reviews (if one of the review companies doesn’t offer first). For those of you who follow our devotional postings (under the Ponderings category), we plan to add four more after we get the book online. We’ll cover: Sanctification, Fiery Trials, Assurance, and Salvation. We plan on starting book four: Who Shall Be God during December. Postings at that time will reflect our research. As always, we appreciate your ongoing support for Mandated Memoranda Publishing. I spotted this YouTube video: Humans Need Not Apply by CGP Grey (15 minutes duration) that seems particularly relevant to our times. It’s coming if we don’t pull the plug. Will we be prepared to face the consequences humanely as individuals, a society, or a global community? This story’s goal is not to inspire a more joyous holiday or a more generous spirit, but to question the very premise of our existence. We are too late into the dark night of the soul for anything but drastic measures. Thank you for your forbearance with us at this time. In Quo Vadis III, we promised to post our cover image and blurb for A Digital Carol. Please read the blurb here. Click on the thumbnail image to see it at quarter scale. All rights reserved, of course. If you’ve read our first book: Tiānmìng – Mandate of Heaven, and who hasn’t ;-), you’ll know we at Mandated Memoranda Publishing do research and lots of it. Currently, we’re working on what we affectionately call Book Three. Its working title is: A Digital Carol. We are reimagining the old Dickens’ favorite for a future generation. The gist of the old story revolves around the Victorian era’s fascination with ghosts and spirits. The new one, obviously, has to feature AI. But not just any AI, we feature Artificial General Intelligence, or AGI. We’re all familiar with Big Dog, Cheetah, and Atlas. If not, we should be. These are specialized robotic machines that adapt to their environments in order to accomplish limited scope missions. However, these do not possess the ability to generalize their missions to encompass any goal, even self set goals. Others would like to make what may turn out to be a limited aspect of AGI available widely. We are nowhere near true AGI. Some think this is a very good thing. There is a philosophic difference between what AI we currently have available and what may come about in the future. We deal with this theme in A Digital Carol. We also deal with the temptation to “kick away the ladder” when opportunity for our aggrandizement presents itself. Of course, we needn’t repeat the admonition that many attribute to mere superstition, do we?